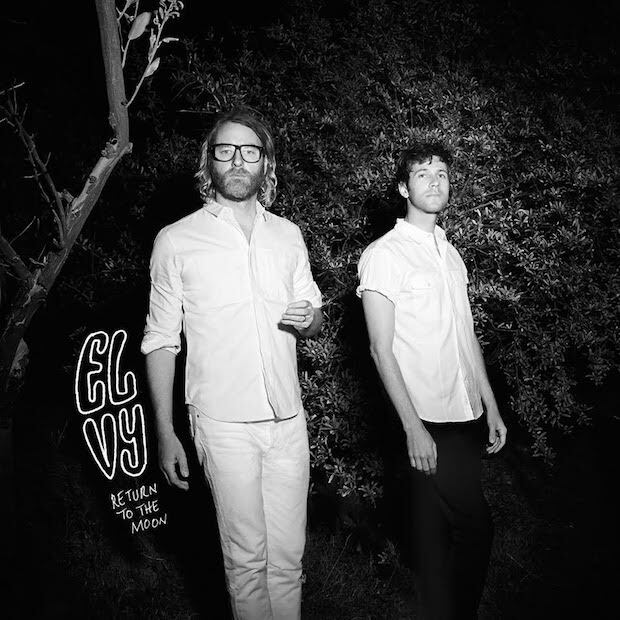 The National frontman Matt Berninger and Menomena's Brent Knopf have formed a new band called EL VY (It should sound like the plural version of Elvis). The duo will release their debut, Return to the Moon, in October. In a press release, Berninger said: "This record is more autobiographical than anything else I’ve written, but the details aren’t true. It’s written in the voices of a few invented characters, composites of different people—myself, my wife, and other people I was thinking about." Take a look at the cover, above, and the tracklisting, below, and hear their debut single "Return to the Moon (Political Song for Didi Bloome to Sing, With Crescendo)."